Repeatedly, the German Bundestag has been attested a ‘lack of debating culture’, especially when compared to Anglo-Saxon parliaments. Among others, its former president, with his laconic statement that there is still “too much talk and too little debate,” has argued that parliamentarians need to catch up on how to publicly negotiate arguments and counter-arguments. In everyday usage, terms such as ‘debate’, ‘discussion’, or ‘controversy’ are usually treated interchangeably—despite us knowing how to distinguish debates that follow formal rules (e.g. lists of speakers or parliamentary by-laws) from more emotional ‘disputes’. Far from questioning the proper modus operandi of parliaments and the procedures for democratic decision-making, however, critical voices also focus on a very different field: Where, within the German education system, do students practice the active exchange of (political) arguments, public speaking, and debating? This is a question that public history—as an intersection of the academic fields of history and history didactics—cannot or should not ignore. While trying to investigate the significance of ‘debating’ for the historical profession, we shall quickly find that, at least nowadays, this label is almost exclusively reserved for discussing “contemporary history as a history of controversies,” a term which refers to the “great controversies” or “history debates” in the second half of the 20th century. Undoubtedly, these open debates are a “form of linguistic debate based on an antagonistic basic scheme.” The question of whether in these cases the “goal of intellectual virtuosity and linguistic perfection” is also always pursued, can be considered open at the least. Therefore, debates highlight sound logic of argumentation on the one hand, and good rhetorical skills on the other. However, debates remain incomplete without a well-founded judgment. The way in which they are raised and conducted is embedded in contemporary norms and values. It is not only for this reason that they are an ideal object of historical research and an important tool for historical learning. ‘Voluntary debating’ in the sense of self-education in specially designated associations and clubs is a phenomenon of Anglo-Saxon universities during the early 19th century. Despite a lack of source material, historians differentiate between three phases when researching debating clubs: The first phase includes the establishment of individual debating clubs at selected universities such as Cambridge (1815) and Oxford (1823). The second phase is characterized by the first competitions held between different faculties in a university and subsequent inter-university competitions. Finally, the third phase covers regular debating tournaments that had been established during the 1930s and 1940s. In Germany, similar foundations only started to emerge in the early 1990s. However, it then took less than a decade before the transition to the ‘third phase’ had already taken place. Debating Clubs as Democratic Training Centers? Since the ancient world, the teaching of rhetoric has always combined the public debate with an educational function (among others, in the form of thesis defense). Competitive discussion is therefore a defining feature of debates. A debating contest can thus be defined as a “form of argumentative dispute between two parties based on rules.” Its primary purpose is the argumentative and rhetorical training of the participants. Further purposes can be described as academic education, political role-playing, or civic-democratic education. Debating contests, therefore, are not—or if so only marginally—a question of decision-making or the deliberate manipulation of opinions, but above all a question of (further) educating the participants themselves. From a pedagogical and didactic point of view, a debating contest is thus a “relevant and permanently attractive exercise” with defining features that above all include “closeness to reality and antagonism”. In the summer term of 2017, a joint course at Heidelberg University and the University of Education (Pädagogische Hochschule) Heidelberg entitled “Perspectives of an Open Society—a Historical and Didactical Student Project” focused under the supervision of the authors on the potential of debating clubs for historical learning. After an introduction to theoretical basics, the students organized and conducted three debating clubs and a final symposium on their own initiative. Historical learning should contribute to active (and passive) participation in historical culture. So far, civic education has been a domain of politics didactics; hence, the public negotiation of argument and counter-argument is most likely to be reflected in this context. A glance at the literature on history didactics illustrates that, despite debates being listed as forms of discussion with clear rules, an elaboration of the historical parts of argumentation logic and its relation to the competences of historical learning is still missing. Only Pandel demands that the “topoi of historical reasoning” should be taken into account when exercising debates. A systematic (history-didactical) analysis would have to list the types of debate in which historical contents can be negotiated, for example, and the practice of the debate would have to be severed from the dominating upper secondary school environment by highlighting the possibilities of instructional scaffolding. Especially when it comes to historical reasoning and the formation of historical judgements, there are good reasons for us to assume that the ability to debate is an important competence—if not a democratic key qualification. 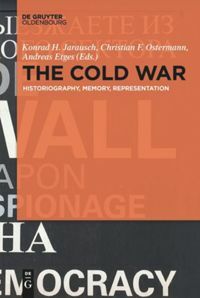 It is not only in public history projects that references to the past and relevance to the present are closely related. There is much to suggest that our historical culture should always be a culture of debate. ‘Learning to debate’ is therefore a task of history didactics and public history—both in theory and above all in practice. Hoppmann, Michael. “Debattierwettstreit.” In Historisches Wörterbuch der Rhetorik, edited by Gert Ueding, 197-204. Berlin et al. : de Gruyter, 2012. Jasinski, John. “Debate.” In Sourcebook on Rhetoric: Key Concepts in Contemporary Rhetorical Studies, edited by John Jasinski, 145-146. Thousand Oakes et al. : Sage, 2001. Schild, H.-J. “Debate.” In Historisches Wörterbuch der Rhetorik, edited by Gert Ueding, 413-423. Tübingen: Niemeyer, 1994. Project outline: Heidelberg School of Education. “Regionalgeschichtliche Perspektiven auf eine offene Gesellschaft: Lernen durch Engagement im öffentlichen Raum.” https://hse-heidelberg.de/forschung/place-aktuell/ (last accessed 8 February 2018). Verband der Debattierclubs an Hochschulen (VDCH). http://www.vdch.de/ (last accessed 8 February 2018). International Debate Education Association (IDEA). https://idebate.org/debate-clubs (last accessed 8 February 2018). Norbert Lammers quoted from Johan Schloemann, “Redet ihr nur,” Sueddeutsche Zeitung, September 9/10, 2017, 4. Martin Sabrow, Ralph Jessen, and Klaus Große Kracht, Zeitgeschichte als Streitgeschichte: Große Kontroversen seit 1945 (Munich: C.H. Beck, 2003). Hilmar Sack, Geschichte im politischen Raum: Theorie – Praxis – Berufsfelder (Tübingen: A. Francke, 2016), 55-63. H.-J. Schild, “Debate,” in Historisches Wörterbuch der Rhetorik, ed. Gert Ueding (Tübingen: Niemeyer, 1994), 413 (all quotations). Michael Hoppmann, “Debattierwettstreit,” in Historisches Wörterbuch der Rhetorik, ed. Gert Ueding (Berlin et al. : de Gruyter, 2012), 200-201. The project was financially supported by the Heidelberg School of Education (program line “Democracy, Tolerance, and Participation” within the HSE-framework PLACE aktuell). The debating clubs “Demokratie – radikal und wehrhaft. Ein Debattierabend im Spiegel der Person Carlo Mierendorffs,” “Dora Lux – Wegbereiterin einer offenen Gesellschaft! ?,” and “Für Schweigen und Stillsitzen bin ich nicht zu haben – Hugo Wolfs Einsatz für eine liberale Gesellschaft” were held in close cooperation with different Heidelberg institutions (Friedrich-Ebert-Gedenkstätte, Kulturhaus Karlstorbahnhof, Kurfürst-Friedrich-Gymnasium) and invited guests. The closing symposium “Perspektiven auf eine offene Gesellschaft” was held at the University of Education Heidelberg in early July 2017. Birgit Wenzel, “Über Geschichte kommunizieren,” in Geschichtsmethodik: Handbuch Methoden für die Sekundarstufe I und II, ed. Hilke Günther-Arndt and Saskia Handro (Berlin: Cornelsen, 2015), 191-202; Ulrich Baumgärtner, Wegweiser Geschichtsdidaktik: Historisches Lernen in der Schule (Paderborn: Schönigh, 2015), 128-133. Hans-Jürgen Pandel, Geschichtsdidaktik: Eine Theorie für die Praxis (Schwalbach/Ts: Wochenschau, 2013), 311. Cord, Arendes/Alavi, Bettina: Debating Clubs as a Method of Historical Learning. In: Public History Weekly 6 (2018) 7, DOI: dx.doi.org/10.1515/phw-2018-11195. Dem Deutschen Bundestag ist wiederholt, vor allem im Vergleich mit angelsächsischen Parlamenten, eine ‘mangelnde Debattenkultur’ vorgeworfen worden. Unter anderem beschied dessen ehemaliger Präsident mit seiner lakonischen Feststellung, hier werde “noch immer zu viel geredet und zu wenig debattiert”, den ParlamentarierInnen einen Nachholbedarf bei der öffentlichen Verhandlung von Argument und Gegenargument. In unserer Alltagssprache werden Begriffe wie ‘Debatte’, ‘Diskussion’ oder ‘Kontroverse’ in der Regel als austauschbar behandelt – auch wenn wir Debatten als Streitgespräche, welche formalen Regeln folgen (zum Beispiel RednerInnenliste oder Geschäftsordnung eines Parlaments), durchaus von zumeist eher emotional geführten Disputen zu unterscheiden wissen. Fernab der Frage nach der angemessenen Funktion von Parlamenten und Verfahren demokratischer Entscheidungsfindung rücken die kritischen Stimmen aber auch noch ein weiteres Problemfeld in den Blick: Wo innerhalb des deutschen Bildungssystems wird eigentlich der lebendige Austausch (politischer) Argumente, das öffentliche Reden und Debattieren gelernt? Eine Frage, der sich auch die Public History (als Schnittfläche von Geschichtswissenschaft und Geschichtsdidaktik) nicht verschließen kann bzw. sollte. Versucht man die Bedeutung des ‘Debattierens’ für die historische Profession zu recherchieren, so stellt man rasch fest, dass unter diesem Label heute beinahe ausschließlich “Zeitgeschichte als Streitgeschichte” verhandelt wird: Es geht um “große Kontroversen” oder “Geschichtsdebatten” in der zweiten Hälfte des 20. Jahrhunderts. Bei diesen ‘offenen’ Debatten handelt es sich mit Sicherheit um eine “Form sprachlicher Auseinandersetzung, die auf einem antagonistischen Grundschema beruht”. Ob hier stets auch das “Ziel gedanklicher Virtuosität und sprachlicher Vollendung” verfolgt wird, kann zumindest als offen gelten. In Debatten stehen somit einerseits eine gute inhaltliche Argumentationslogik, andererseits gute rhetorische Fähigkeiten zur Disposition. Aber: Debatten bleiben ohne ein gut begründetes Urteil unvollständig und die Art und Weise ihrer ‘Inszenierung’ ist jeweils in die zeitgenössischen Normen und Wertvorstellungen eingebunden. Nicht nur aus diesem Grund bilden sie einen idealen Gegenstand sowohl historischer Untersuchungen als auch ein wichtiges Werkzeug historischen Lernens. ‘Freiwilliges Debattieren’ im Sinne der Selbstbildung in eigens hierfür gegründeten Vereinigungen und Clubs ist eine Erscheinung an angelsächsischen Universitäten des frühen 19. Jahrhunderts. Trotz schlechter Quellenlage werden in der Forschung zu Debattierclubs drei Phasen unterschieden: Die erste Phase umfasst die Gründung einzelner Debattierclubs an ausgesuchten Universitäten – so beispielsweise in Cambridge (1815) oder in Oxford (1823). Die zweite Phase ist gekennzeichnet durch erste Wettkämpfe zwischen verschiedenen Fakultäten einer Universität und in der Folge auch zwischen unterschiedlichen Universitäten. In der dritten Phase kommt es während der 1930er/40er Jahre dann schließlich zur Ausrichtung regelmäßiger Debattierturniere. Entsprechende Gründungen in Deutschland gehen dagegen erst in die frühen 1990er Jahre zurück. Nur ein knappes Jahrzehnt später fand hier aber schon der Übergang in die ‘dritte Phase’ statt. Im Rhetorik-Unterricht (seit) der Antike kam der öffentlich ausgetragenen Debatte immer zugleich auch eine pädagogische Funktion zu (unter anderem in Form der wissenschaftlichen Disputation). Diskutierendes Wetteifern bzw. Wettstreiten ist somit ein bestimmendes Merkmal von Debatten. Ein Debattierwettstreit lässt sich so als eine “Form der regelgeleiteten argumentativen Auseinandersetzung zwischen zwei Parteien” definieren. Sein primärer Zweck besteht im argumentativen und im rhetorischen Training der TeilnehmerInnen. Weitere Zwecke lassen sich mit der akademischen Ausbildung, dem politischen Rollenspiel oder der staatsbürgerlich-demokratischen Bildung beschreiben. Im Debattierwettstreit geht es also nicht bzw. nur am Rande um Entschlussfassung oder gezielte Meinungsbeeinflussung, sondern vor allem um die (Weiter-)Bildung der Beteiligten selbst. Ein Debattierwettstreit ist aus dem pädagogisch-didaktischen Blickwinkel somit eine “praxisrelevante und dauerhaft attraktive Übung”, zu deren bestimmenden Merkmalen vor allem “Realitätsnähe und Agonalität” zählen. Im Sommersemester 2017 fand unter dem Titel “Perspektiven auf eine offene Gesellschaft – ein zeithistorisches und didaktisches Studierendenprojekt” eine gemeinsame Lehrveranstaltung der Universität Heidelberg und der Pädagogischen Hochschule Heidelberg unter Leitung der beiden AutorInnen statt. Nach der Einführung in die theoretischen Grundlagen haben die Studierenden in Eigenregie drei Debattierclubs sowie ein Abschlusssymposium organisiert und durchgeführt. Historisches Lernen soll dazu beitragen, aktiv (und passiv) an der Geschichtskultur partizipieren zu können. Die Demokratieerziehung ist bisher die Domäne der Politikdidaktik. Hier wird deshalb auch am ehesten die öffentliche Verhandlung von Argument und Gegenargument reflektiert. 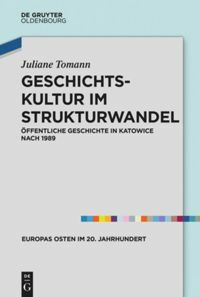 Ein Blick in die geschichtsdidaktische Literatur zeigt, dass die Debatte zwar als Gesprächsform mit klarer Regelsetzung aufgeführt wird, eine Herausarbeitung der historischen Anteile der inhaltlichen Argumentationslogik und deren Bezug zu den Kompetenzen historischen Lernens aber noch aussteht. Allein Pandel fordert weitergehend die “Topoi historischer Argumentation” bei der Einübung zu berücksichtigen. Eine systematische (geschichtsdidaktische) Aufarbeitung müsste zum Beispiel die Debattentypen auflisten, in denen historische Inhalte verhandelt werden (können) und die Einübung der Debatte aus der bisher dominierenden gymnasialen Umgebung lösen, in dem Möglichkeiten des Scaffolding aufgezeigt werden. Wir können mit guten Gründen davon ausgehen, dass – gerade dann, wenn historische Argumentationen und Urteilsbildung im Mittelpunkt stehen – die Debattierfähigkeit eine wichtige Kompetenz, wenn nicht sogar eine demokratische Schlüsselqualifikation darstellt. Nicht nur in Projekten auf dem Feld der Public History stehen Vergangenheitsbezug und Gegenwartsrelevanz in einem engen Verhältnis. Vieles spricht dafür, dass unsere Geschichtskultur immer auch eine Debattenkultur sein sollte. 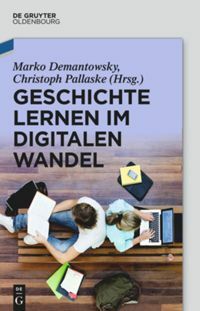 ‘Debattieren lernen’ ist somit eine Aufgabe von Geschichtsdidaktik und Public History – in der Theorie und vor allem auch in der Praxis. Hoppmann, Michael. “Debattierwettstreit.” In Historisches Wörterbuch der Rhetorik, Hrsg. Gert Ueding, 197-204. Berlin et al. : de Gruyter, 2012. Jasinski, John. “Debate.” In Sourcebook on Rhetoric. Key Concepts in Contemporary Rhetorical Studies, Hrsg. John Jasinski, 145-146. Thousand Oakes et al. : Sage, 2001. Schild, H.-J. “Debate.” In Historisches Wörterbuch der Rhetorik, Hrsg. Gert Ueding, 413-423. Tübingen: Niemeyer, 1994. Heidelberg School of Education. “Regionalgeschichtliche Perspektiven auf eine offene Gesellschaft: Lernen durch Engagement im öffentlichen Raum (Projektskizze).” https://hse-heidelberg.de/forschung/place-aktuell/ (letzter Zugriff am 08.02.2018). Verband der Debattierclubs an Hochschulen (VDCH). http://www.vdch.de/ (letzter Zugriff am 08.02.2018). International Debate Education Association (IDEA). https://idebate.org/debate-clubs (letzter Zugriff am 08.02.2018). Norbert Lammers zit.n. Johan Schloemann, “Redet ihr nur,” Sueddeutsche Zeitung, 9./10. September 2017, 4. Martin Sabrow, Ralph Jessen und Klaus Große Kracht, Zeitgeschichte als Streitgeschichte. Große Kontroversen seit 1945 (München: C.H. Beck, 2003). Hilmar Sack, Geschichte im politischen Raum. Theorie – Praxis – Berufsfelder (Tübingen: A. Francke, 2016), 55-63. H.-J. Schild, “Debatte,” in Historisches Wörterbuch der Rhetorik, Hrsg. Gert Ueding (Tübingen: Niemeyer, 1994), 413. Michael Hoppmann, “Debattierwettstreit,” in Historisches Wörterbuch der Rhetorik, Hrsg. Gert Ueding (Berlin et al. : de Gruyter, 2012), 200-201. Das Projekt wurde im Rahmen der Programmlinie PLACE aktuell der Heidelberg School of Education im Rahmen der Ausschreibung “Demokratie, Toleranz und Teilhabe” finanziell unterstützt. Die Debattierclubs fanden zu den Themen “Demokratie – radikal und wehrhaft. Ein Debattierabend im Spiegel der Person Carlo Mierendorffs,” “Dora Lux – Wegbereiterin einer offenen Gesellschaft! ?” und “Für Schweigen und Stillsitzen bin ich nicht zu haben – Hugo Wolfs Einsatz für eine liberale Gesellschaft” jeweils in enger Kooperation mit Heidelberger Institutionen (Friedrich-Ebert-Gedenkstätte, Kulturhaus Karlstorbahnhof, Kurfürst-Friedrich-Gymnasium) und Gästen statt. Das Abschlusssymposium “Perspektiven auf eine offene Gesellschaft” wurde Anfang Juli 2017 an der Pädagogischen Hochschule Heidelberg abgehalten. Birgit Wenzel, “Über Geschichte kommunizieren,” in Geschichtsmethodik. Handbuch Methoden für die Sekundarstufe I und II, Hrsg. Hilke Günther-Arndt und Saskia Handro (Berlin: Cornelsen, 2015), 191-202; Ulrich Baumgärtner, Wegweiser Geschichtsdidaktik. Historisches Lernen in der Schule (Paderborn: Schönigh, 2015), 128-133. Hans-Jürgen Pandel, Geschichtsdidaktik. Eine Theorie für die Praxis (Schwalbach/Ts: Wochenschau, 2013), 311. Cord, Arendes/Alavi, Bettina: Debattierclubs als Methode historischen Lernens. In: Public History Weekly 6 (2018) 7, DOI: dx.doi.org/10.1515/phw-2018-11195.